Michael has made many television appearances most notably as co-host of ‘The Mansion’ on the Comedy Channel and three seasons as a cast member of the popular Australia sketch show ‘skitHOUSE’. 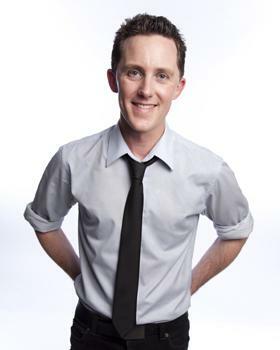 He has performed stand up on ‘Rove’ (Network TEN), ‘Stand Up’ (ABC TV), ‘Stand Up! Australia’ (The Comedy Channel) and best of all, made Bert laugh on ‘Good Morning Australia’ (Network TEN). Michael’s writing highlights include being a core writer for ‘skitHOUSE’ but also a contributing writer for ‘Rove’ for the last five years until its conclusion in 2009. He also spent a season working on Network TEN’s ‘Before The Game’. Michel has performed six solo stand up shows, four of them in the Melbourne International Comedy Festival. He has also performed a number of shows at the Adelaide Fringe Festival. In 2009 year, he presented comedy segments for ONE HD’s ‘Thursday Night Live’ as well as writing and producing comedy sketches for the 2009 TV Week Logie Awards. He can be seen regularly performing in comedy rooms across the country.